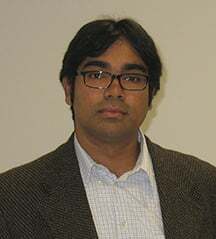 Policy uncertainty and ambivalence by the APNU+AFC government towards domestic investors has contributed to the depreciation of the local currency and a slide in Foreign Domestic Investment (FDI) last year is also another a sign that the administration is on the wrong track, according to economist Tarron Khemraj. In a six-part series for Stabroek News on recent events in the foreign exchange market, Khemraj argues that the factors besetting the foreign exchange regime extend all the way back to the 2011 PPP/C administration when there was political gridlock but he added that the current APNU+AFC administration must take some responsibility for a decline in investor confidence and its follow through on the value of the local dollar. In his May 10 column in Stabroek News under the rubric `Development Watch’ Khemraj argued that the five percentage point decline in private investment (as a percent of GDP) last year is primarily the result of the ambivalence of the APNU+AFC government with respect to domestic investors. He said it appears as if foreign investors are also taking note given the collapse of FDI in 2016. In his series, Khemraj concluded that there is little evidence to indicate that there is a slowdown in the underground economy as evidenced by the persistent rise in the use of cash for payments compared with bank deposits. “However, we saw that Guyanese are reducing their demand for bank deposits or money, thus signaling a general slowdown in official economic activities since 2011”, Khemraj said. He contended that the slowdown starting in 2011-2012 can be witnessed in other major statistics. He posited that the primary reason for the slowdown in economic activity is the very contentious politics arising from the 2011 General Election, when the PPP/C became a minority government. He charged that the PPP/C refused to budge on any opposition request and the opposition opposed every policy decision of the Ramotar administration. Pointing out that FDIs fell steeply in 2016 under the APNU + AFC government, Khemraj said “No doubt the two-year old government accounts for part of the steep economic slowdown even though forces from 2011 were already causing investments to decline. In other words, the government’s ambivalence with respect to the business community is the straw that broke the camel’s back”. He noted that in a letter to this newspaper on February 19, 2017 he had said that the policy uncertainty of the government is causing those who earn foreign currencies to hoard instead of pursuing physical investments. This hoarding, he said, creates a prima facie shortage. Earlier this year, businesspersons had complained about the unavailability of currency and the much higher rate at which it was purchased when available. The government and the central bank had countered that there was sufficient foreign currency in the system. Khemraj pointed out that private investment as a percent of GDP slumped from around 22% in 2015 to 9% in 2016. Further, private foreign investments dropped sharply by over US$125 million from 2015 to 2016. He pointed out that soon after the May 2015 General Election, the Private Sector Commission (PSC) signaled its willingness to work with the new administration and he cited a Stabroek News report of June 5, 2015 as summarising a series of measures discussed between the PSC and President David Granger and his team. The two sides discussed the need to reorganise the National Insurance Scheme and Go-Invest as well as telecoms liberalization and tax reform. They also stressed the importance of legislation to address money laundering and their support of the Public Procurement Commission and Integrity Commission and other measures. “The government, however, responded with several disparaging comments about the private sector. These public outbursts likely stem from the fact that the government does not see entrepreneurs as part of its base. I think this perspective is wrong on many levels”, Khemraj said. The economist said that it is normal for new governments to seek to reassure private investors after a change in government particularly when such change occurs after 23 years. “Instead, Guyanese producers of stones, fruit juices and pharmaceuticals were replaced by import sourcing in the public procurement. Last (month), however, …Guyanese (contractors: BK and TPL) once again obtained the contract to supply stones, possibly signaling a softening of the quarrel between the two sides”, Khemraj posited. He said that the government came to power with little policy clarity with respect to the big economic challenges facing the country asserting that this was confirmed by the abrupt closure of sugar estates beginning with Wales at the end of last year and plans to shut two more with only three to remain. He said that government’s spending and taxation over the past two years has been pro-cyclical in the context that the government is seeking to expand the tax burden during an economic downturn. Capital spending had also collapsed in 2015 thus worsening the situation. He said that while the latter could not be blamed completely on the government owing to fiscal uncertainty in an election year, “it became counterintuitive why the tax burden had to be increased in the 2016 budget. In general, it is better for fiscal policy to be counter-cyclical”. Khemraj said that a series of steep increases of fees and the VAT on private education this year have also contributed to the general pessimism. “The VAT on private education makes no economic sense. Education at the primary and secondary levels should be subsidized instead of taxed given the higher public good component of education. This is regardless of whether the school is public or private. The extent of the subsidy for university education is debatable, however. Many countries are requiring students to put more skin in the university education game, by requiring them to bear part of the cost. “The sudden and steep increase of fees for farmers in the MMA area would further decrease the return on farming. It is time the government takes stock of how wealthy Guyanese small and medium-scale farmers really are”, Khemraj argued. “I am putting my bet on the event that large-scale farming and the millers are doing better. Small-scale and medium-scale farmers are at subsistence or just above. Small farmers usually do multiple jobs, including working for little cash using their visas. Guyana’s economic history – not the kind of history focusing on who suffered more than whom – from around the time of the African peasantry should inform current policy makers as to the viability of small-scale farming in the coastal geography”, Khemraj declared. He stated that another problem is associated with the conflating of the underground economy with corruption of government officials of the previous administration. “Often perceived corruption of the previous government gets projected onto the private sector, and vice versa. This has resulted in gross exaggeration of the extent of theft on the books that took place under the PPP. Unfortunately, many private investors, who are not saints, are seen as PPP supporters. This is far from the reality. Ultimately, any government would have to work with what it has. The art is to nudge the selfish interests of the entrepreneur in the direction of national ones”, Khemraj urged.